Many enthusiasts can tell you when and where their hunger for automotive started. Turning wrenches with a parent, their first Motorsports event, maybe something less hands-on like a video game or movie. Any number of things can spark a lust for automotive. But what kills that spark? What makes us neglect something we loved so dearly? Being an automotive enthusiast is a delicate life-long relationship, yet you’ll never find a self-help book on how to make it last. That is why I’ve written this post. 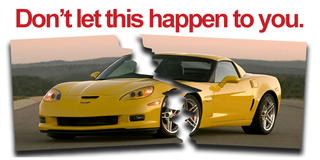 To evade automotive annulment, we must first understand why it happens. We’ll look at the reasons we push automotive out of our life and provide ideas on how to keep the flame combusting (corny, I know). If you have ideas of your own - share them in the comments below. Bad knees, bad back, timeworn hips, obesity – there are a number of physical conditions that make getting behind the wheel of the some of the industry’s best cars, painful or down right impossible. It’s easy to say “eat healthier, don’t get hurt”, but in the real world age is inevitable and injury isn’t always preventable. Pain and discomfort can make even the most devoted enthusiast annoyed by the notion of driving their once beloved vehicle. Ache and discomfort eventually lead to a period of prolonged storage, followed by a FOR SALE sign and sadly ending in automotive divorce. But what can car lovers do when their physical condition limits their motoring pleasure? First, remove any notion that car love = low, fast and manual. Whether new or used, fast or slow – there are many automotive products that scream enthusiast while still being friendly to physical limitations. Performance SUVs and wagons, race-inspired automatics, even trucks have variants that serve enthusiast’s needs. The key to this solution is to accept the notion that the conventional sports car can and must evolve. Open your mind and learn to love automotive again. Welcome in a new era of car love – where wagons can be cooler than Corvettes and a tricked out mobility-equipped minivan is just as much a reflection of motoring passion as a Singer Porsche. Where do I start?! The reasons children can wreak havoc on a car enthusiast’s life are seemingly endless. The obvious reasons are, well, obvious. Kids mean no roadsters. They also mean stronger input from the (typically non-automotive) spouse. This comes in the form of “How many stars did IIHS give it? Consumer reports says…” and so on. Aside from these obvious reasons I found two reasons that aren’t as obvious. That is, until you have children. Sigh. Another project poop delayed. Again! Parenting requires a lot planning. Parenting while keeping your Car Guy Credentials valid, requires twice the planning. Thankfully the effect of Infection Child on your motoring love is temporary. Once the eating and pooping machine can survive outdoors, things get better. Two things start early in the morning – children and Cars and Coffee. Why not combine the two? Pack your offspring into your child-safe vehicle and hit up the closest Cars and Coffee event. Your spouse will worship you for the sleep-filled child reprieve while you get to spend quality time with your little ones all while exposing them to the Wonderful World of Automotive. A mammoth win-win for all parties involved. Remember that black hole I mentioned earlier? Yes, the one that ate all your spare time. Well, I have more bad news – it is also going to eat all your money. Money is essential in the purchase and acquisition of new automotive things. Projects, repairs, modifications – all require money. Unfortunately kids too require money – diapers, food, safety equipment, therapy, more diapers, more food and more therapy. This pyramid scheme they call parenting is a cruel and vicious cycle. There is a light at the end of the tunnel. A dim one, but a light nonetheless. Do we need to buy mods? While there is something to be gained from owning a modified car, I’ve found most of my pleasure in the installation. I’ve walked out to the driveway many times and thought “Hmm. What can I do to this car today that will allow me to drag out all my tools?” Seeing that we find value in the act-of-modifying, why not spend someone else’s money? Join a few automotive forums. Find your regional section and post up a thread, “Willing to wrench: have tools, will travel!” Fellow owners are always happy to have an extra hand in the garage, especially if you have tools and know what the hell you’re doing. Ever try to install a set of aftermarket headers? This is not a one-man-job. You’ll make quick friends, both online and in real life. Another option is to check out your local rent-a-bay garage. These DIY garages are a newer concept, but are popping up in more and more places. Every weekend they are packed with DIYers eager to jump into their automotive projects. Some are less skilled than others so any help you can give will be warmly welcomed. Both of these options would be a great way to meet local car people and satisfy your personal automotive addiction while not spending a dime of your own money. I hope the ideas above will help you should you ever find yourself falling out of love with the hobby of automotive when life demands your time or money.